While we do spend the majority of our time thinking about wedding planning, one of our favorite activities is dreaming about wedding registry planning! From creating a home that feels totally you to having everything you need right at your fingertips, your wedding registry is an important part of planning for the next chapter of your lives. When it comes to planning beyond your big day, Macy’s wedding registry has everything you need to start your next chapter. From online registry advisors and in-person events to help you select the perfect registry items to a number of ways to save money and earn rewards, the benefits of Macy’s wedding registry can’t be beat. Oh, and did we mention that you can register for everything you need all in one place? You probably have a list of registry necessities with things like knives, towels, and a new blender, but Macy’s amazing selection inspired us to share a few essentials your registry may be missing. One of the reasons we’re so obsessed with Macy’s wedding registry is that they carry one of our favorite brands – kate spade new york! Whether you’re eating a quick Tuesday evening meal before trivia night or you’re hosting your first big dinner party, Kate Spade’s dinnerware and flatware helps you dine in style every time. Do you feel like you can never stay on top of all the pet hair around your home? Dyson has the perfect solution for you: a cordless vacuum specifically made to remove pet hair. No need to drag out your massive vacuum every time Sparky’s hair finds its way to your floors; the Dyson V8 Animal Cord-Free Vacuum is all you need for a quick cleanup to keep the hair under control (and to keep your sanity!). Your wedding registry is about more than dishes and cookware, so remember to register for items that benefit your whole home — not just your kitchen! This may come as a shock to you, but did you know that KitchenAid makes products besides mixers? In particular, this KitchenAid MultiCooker is a cooking essential you may not have realized your registry needed. This 4-quart MultiCooker takes up little space on your counter while making big moves in your kitchen by allowing you to simmer, boil and steam, sauté, sear, slow cook high and low, and warm, with additional settings for risotto, rice and yogurt, all in one appliance! Speaking of making meals easier, the number one way to simplify your cooking process is to have everything you need at your fingertips. While a cookware set isn’t exactly unique to a wedding registry, All-Clad’s stainless steal 10-piece cookware set goes above and beyond with two fry pans, two covered sauce pans, a covered sauté pan, and a covered stock pot. You only get one wedding registry, so make sure you register for everything you need! Also keep in mind that your registry is the prime time to invest in high-quality cookware. All-Clad is one of the best names in cookware, and this set is a fantastic value. Check out more of their products to add to your Macy’s registry here! If you’ve never heard of Nambé, prepare yourself to be wowed. With modern shapes and incomparable quality, Nambé’s serveware has that extra special something your friends and family will come to associate with your home. It’s clear that a Macy’s wedding registry has everything you need as soon-to-be newlyweds, but did you know that it benefits your friends and family too? Choosing a Macy’s registry gives your guests the opportunity to give you the best for less because they can always find Macy’s coupons at Coupons.com. Thanks to Coupons.com, a Macy’s wedding registry gives you the most without your guests having to spend the most. Feeling inspired? Create your own Macy’s wedding registry here to get all the savings and home essentials to start your next chapter together on the right foot. Looking for even more savings as you plan your dream wedding? 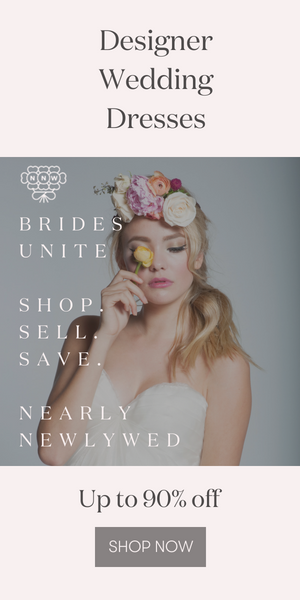 Find coupon codes for every retailer on Coupons.com for all your wedding planning needs. *This post is sponsored by Coupons.com. Thank you for supporting our sponsors!